Learn about the power of natural forces! 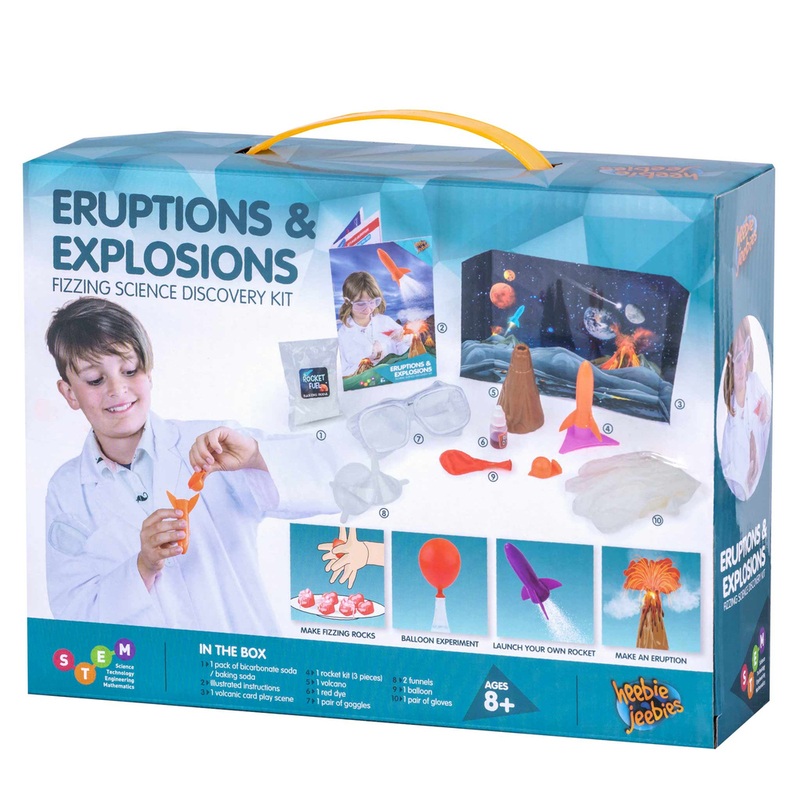 If your little scientist loves to explore the world hands on, he or she will love this Eruptions & Explosions Science Discovery Kit! Get ready for big eyes and big smiles as you help them learn about the awesome power of volcanoes and other natural forces! 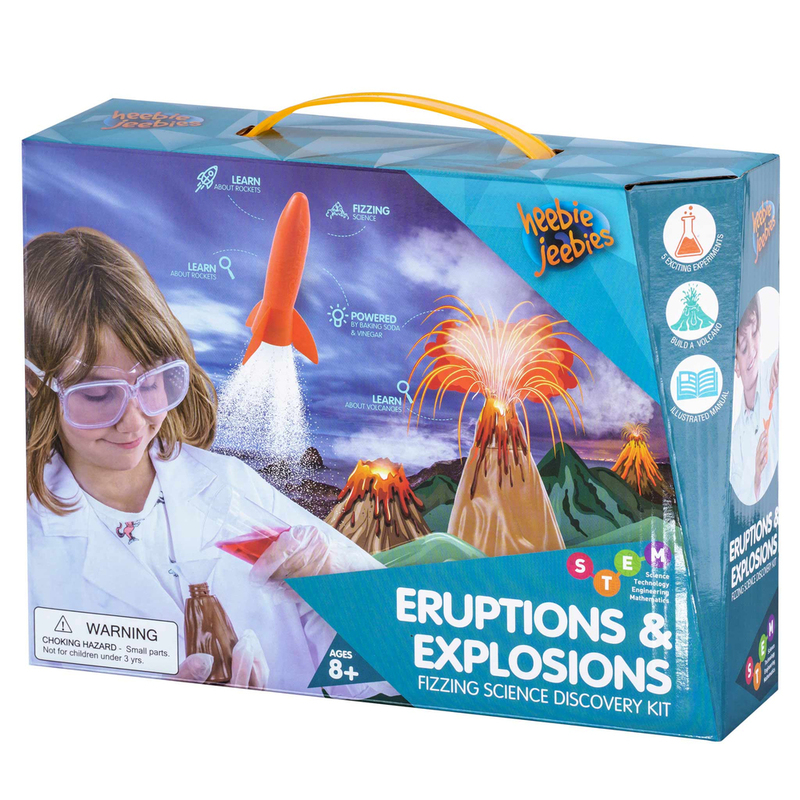 Conduct 5 explosive experiments in the safety of your own home, and hone your chemistry skills as you simulate a volcanic eruption. After you've completed each mini experiment, find out more about how volcanoes and rockets work, by reading the engaging booklet inside. 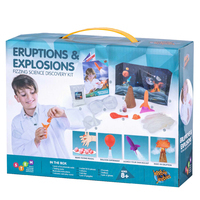 Each experiment involves the use of vinegar and baking soda to conduct eruptions and explosions! 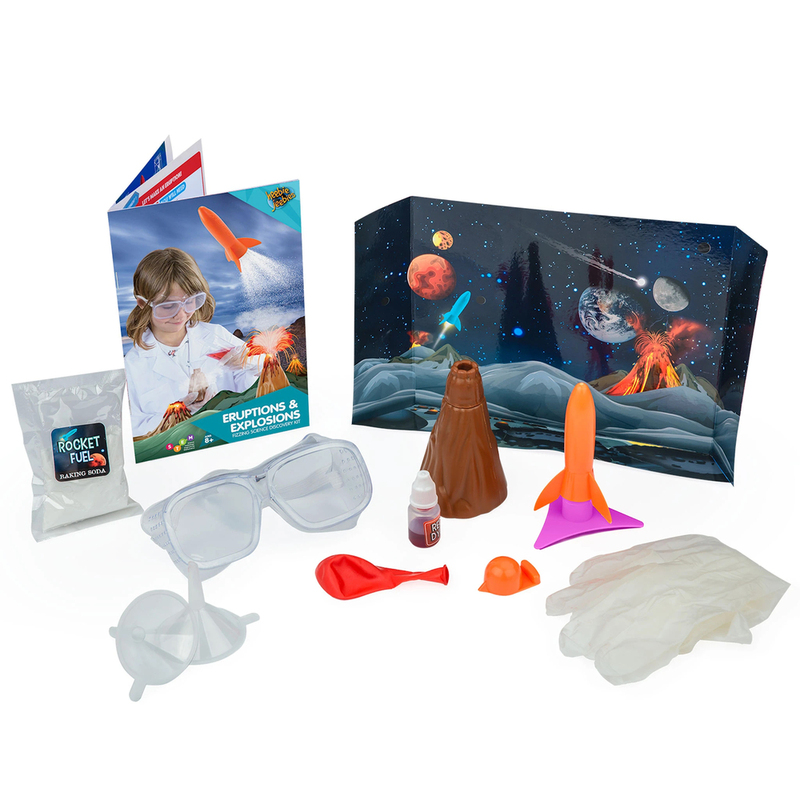 Lets make an eruption: Learn about different types of volcanoes and create an eruption with vinegar and baking soda. Inflate a balloon: Create a gas that will build up enough pressure to inflate a balloon. Dancing rice: Create a chemical reaction that causes bubbles of carbon dioxide to adhere to rice and cause it to dance! Fizzing rocket: Use bi-carb and vinegar to create a build-up of carbon dioxide that causes your rocket to propel forward. 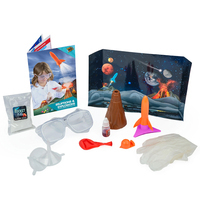 Launch a rocket: Set your rocket down in an open space then stand clear for launch! Recommended for ages 8 and up (or 6 and up with assistance).